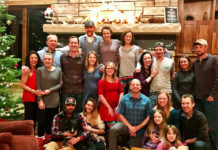 What’s next for EasyCare and what will 2012 bring? EasyCare, Easyboots and booted horses are coming off a very successful fall. 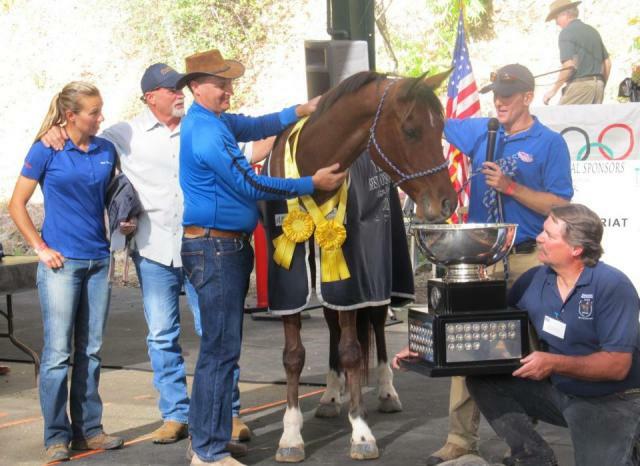 The results of the 2011 Tevis Cup once again show that booted horses are competing and winning at the highest levels of equine sports. The Haggin Cup was won by horses wearing Easyboots in 2010 and 2011. Reynolds Racing dominates at Tevis 2011. Jeremy Reynolds wins both the Tevis Cup and Haggin Cup in Easyboots. 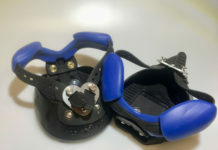 Although barefoot booted horses are competing successfully in many equine segments there are a great number of sports that either have rules that prohibit hoof boots or hoof boots are just not accepted by participants. EasyCare is looking at some of these segments and we are working on products that will give horses the ability to compete in these areas with success. These products will blur the line between boots and shoes. In addition to the concentration on new segments we will introduce new products and sizes to our current user segments. Expect some of our better products to be crossed, resulting in hybrid products. We have a couple of different products that have run their course and they will phased out during the 2012 calendar year. 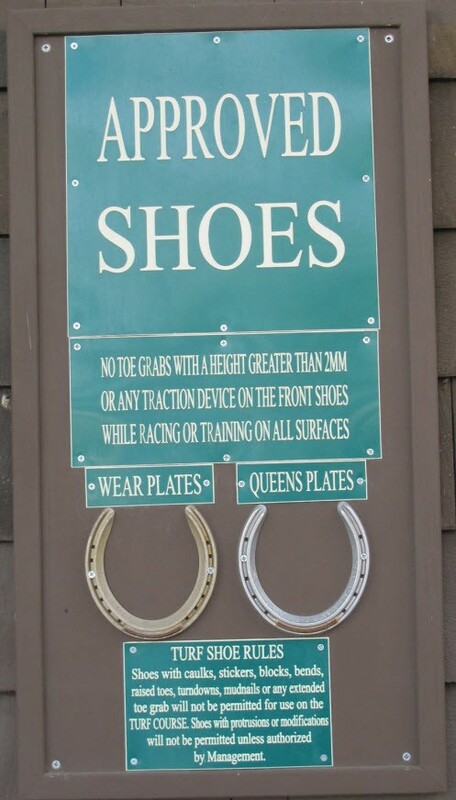 The approved shoe sign at Delaware Park. One of the segments we believe could benefit from alternatives in hoof protection is the race track industry. To further my research, I just completed a trip to Delaware Park and had the opportunity to get an inside view of the track industry. I had the opportunity to stay with Lynn and Mark Ashby of MarLyn stables. Lynn has been one of the leading Arabian track trainers for over 20 years and they also participate in thoroughbred racing. Lynn allowed me to tag along in the shed rows, be part of the workouts, see the feeding routines, and converse with the track farriers. The owners, trainers and farriers are excited about the new concepts. 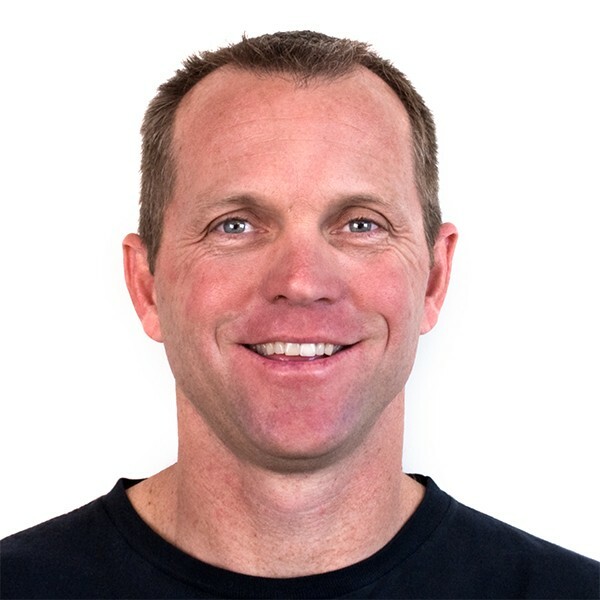 What are your suggestions for EasyCare in 2012? Are you involved in an equine segment that could benefit from a custom hoof boot? We would love your feedback and ideas.